Begging to differ from the Indian selectors, Chairman of Sri Lanka Cricket and former captain Arjuna Ranatunga said veteran batsmen Sourav Ganguly and Rahul Dravid deserve to be in the ODI squad of their country. Ranatunga said he would back both the seniors for one-day assignments as they were still capable of delivering the goods. 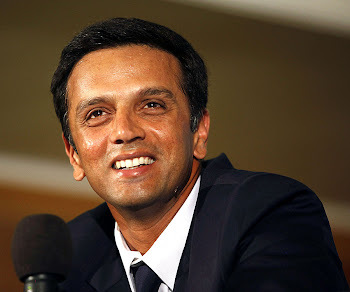 “I personally feel that Dravid and Ganguly have a lot of cricket left in them, even for the one-dayers. The only area (they lack) is fielding. That is the area where Indians were never good. Now things are changing,” Ranatunga said in an interview. “A lot of youngsters like Yuvraj are coming in. They are putting in lot of effort in their fielding. So it is a good challenge for some of the seniors,” Ranatunga said. Ranatunga likened the situation to Sri Lanka dropping star fast bowler Chaminda Vaas and dashing opener Sanath Jayasuriya to include some younger players. “You have to practically do it. It is very difficult to get rid of a senior player if he is performing. But, in the meantime, you have to think of the juniors as well. There has to be a mixed composition where the selectors should look into protecting the seniors and bringing up the juniors to fit in to their shoes,” Ranatunga said. “My theory is to replace someone like Jayasuriya or Vaas you have to achieve a certain standard. It is not easy,” Ranatunga said.